“Today we recognize the Moose Hide Campaign and its work to end violence against Indigenous women and children, and encourage men to speak out and hold each other accountable. “Everyone has the right to live without fear and violence. It is the responsibility of every one of us to stand with survivors, believe their words and honour their courage. As men and allies, we must be vigilant to make sure our words and actions do not perpetuate a culture of violence.“Over one million women in our province have experienced physical or sexual violence since the age of 16. Indigenous women are 3.5 times more likely than non-Indigenous women to experience violence. “Today, members of all parties in the B.C. 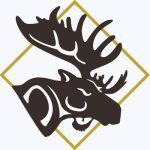 legislative assembly will wear their moose hide pins and participate in a fasting to pledge their support for the campaign. “Our government recognizes our responsibility to advance reconciliation with Indigenous peoples, and we are working together with the Minister’s Advisory Council on Indigenous Women to right historical wrongs and to create a province where all Indigenous women and girls live free of violence.